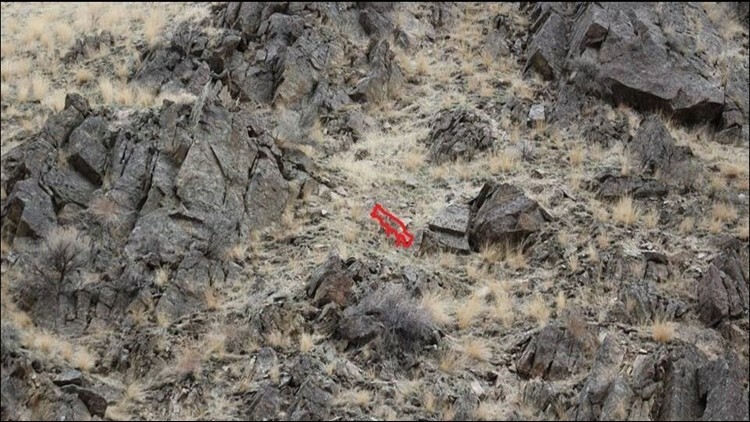 Natural camouflage: Can you spot the coyote in this photo? The Idaho Fish and Game Southwest Region posted a headscratcher of a photo on their Facebook page Friday, challenging people to try to spot the coyote. The animal blends in almost perfectly with the rocks and vegetation. Coyotes, which have been spotted in all of Idaho's counties, use their natural camouflage to blend in with their environment in order to hunt prey or hide from predators. We'd say this fella is doing a pretty good job!